Kids Club Torquay is a happy and friendly early learning centre with a team of well established and dedicated educators. Centre Manger, Shayne Cronin leads a long standing team with herself being at the centre for ten years. Having been within the Early Childhood sector for 25 years, Shayne is a highly experienced professional with a true passion for early learning. There’s lots happening at this early learning centre! Every Monday, educator Yessy McKenna holds Indonesian lessons with all children. This is a great chance for children to experience another language and is something that is looked forward to at the service. The regular excursions are a source of excitement with children going on regular outings to Torquay Library, YMCA Anglesea Recreational Camp and other local sites. 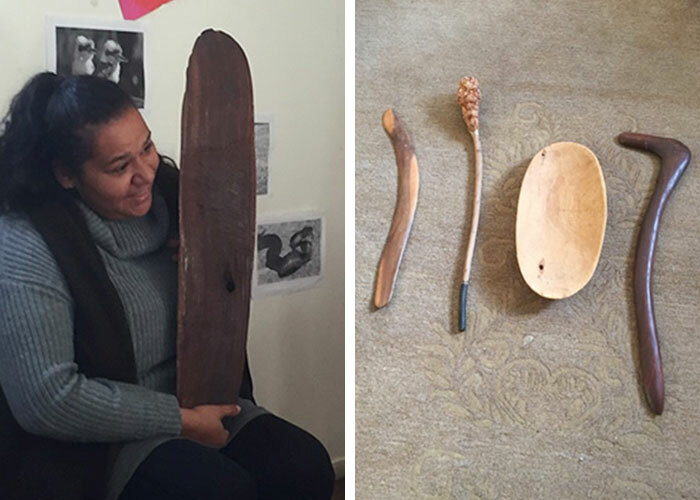 Recently, the centre has a visit from Narana who talked about indigenous culture which was insightful and interesting both for the children and the educators. They’ll soon be introducing “Bush Kinder” into their program, so watch this space! Right now they are working on gardening and sustainability projects as well as their much loved “Happy Feet” program on Mondays and Wednesdays. Through this program they hope it will promote holistically healthy children and instil health, joy, learning and confidence. By offering a range of physical activities and musically themed adventure classes, children are learning about health in a fun and supportive way and is linked to the Early Years Learning Framework. Happy Feet Fitness is the award-winning brainchild of husband and wife team, Donna and Cam McColl. Donna is an accredited and well respected fitness leader and Cam is a professional children’s entertainer, magician and musician. Both Donna and Cam share a passion for helping those around them reach their full potential. Their joint appreciation of health, fitness and general wellbeing spurred the desire to educate and inspire young children to make healthy choices; it was the catalyst for creating the hugely popular Happy Feet Fitness program. These additional updates as well as a daily Storypark addition are such lovely little additions to your care. We are thoroughly enjoying our experience at Kids Club so far. “I have to say this is my biggest strength and I role model to all my staff and educators daily. I have dropped off cards and art work in families’ letter boxes, dropped off comfort toys left at the centre so families don’t have to come back out again, picked up medication, dropped off flowers for sick families and big bunches of balloons for sick children. I have applied automatically for two families SCCB when their spouses passed away to help the families out and the parents could not deal with anything to take the pressure off while going through a terrible ordeal. Kids Club Torquay is an Exceeding NQS centre that provides high quality care to every child in their service. To meet Shayne and the team and see the centre in action, book a tour here!